Light and fluffy parcels of choux pastry filled with chocolate mousse and topped with creamy milk chocolate. Beat the milk and CARTE D'OR Chocolate Mousse Dessert Mix. Place mixture in a piping bag and fill the éclairs. 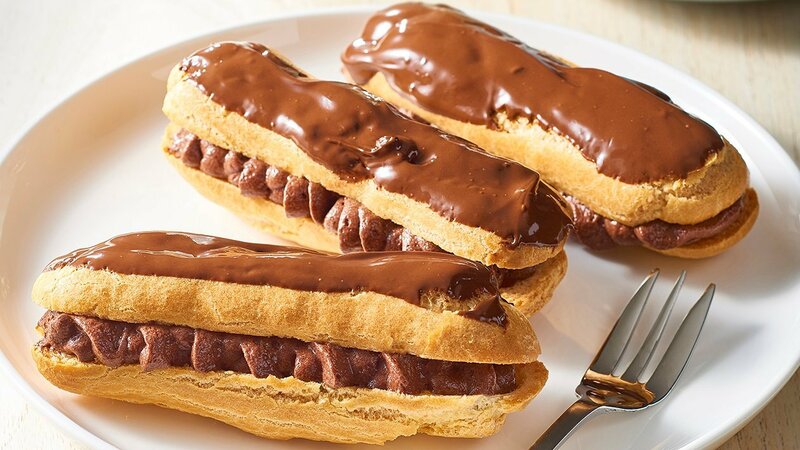 Melt the chocolate and pour over the eclairs for service. The filling can also be used in profiterole cases.